The ClassiPress fields you wish to attach to different levels must exist on all the forms. The fields will be forced to be required for the plugin to work correctly. How to Install and Integrate? Open ClassiPress → ML Plugin Options page. That’s it then. Hope you enjoy taking your ClassiPress website to a new level. I have progress, its has installed correctly. is that plugin working for classiestate aswell? Yes the plugin works for ClassiEstate as well. I have purchased your plugin, which is fantastic. 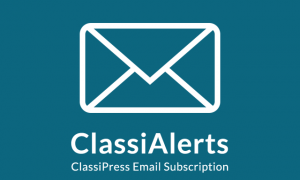 But now ther will be a new release of Classipress (3.2). As I had to modify the code (I’m not using child themes). If I want to update classipress, should I modify the same files again? Have you got any tutorial to use this plug-in with the new version? If you have not hacked your ClassiPress core for anything apart from the plugin integration, I recommend you use the child theme bundled with the plugin when ClassiPress 3.2 is available, because when you have a freshly installed ClassiPress you should never hack any core file. 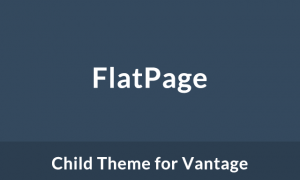 We are in the process of updating all our plugins so a new version of the plugin with updated child theme files and instructions will be made available soon after ClassiPress 3.2 is released. First Category with levels: AUTO-cars-honda-cilvic. Second Category with levels: HOMES-House for rent-house type-single bedroom. I wish to have many categories listed in this hierarchy. Can your plugin do this for at least up to 30 Parent categories with 3 children each? It is only possible to interlink up to three custom fields in a parent-child hierarchy. You can then use the combination in as many form layouts as you want. But you cannot have more than one combination. The category parent=child combination already exists within ClassiPress, the plugin only works with custom fields, like country-state-city or honda-civic-2010. You can create only one combination in a site. I hope that I made it clear. “You can create only one combination in a site”, any plans on making it applicable on multiple combinations? No the plugin can only handle one combination. There is not a huge demand for allowing multiple combinations right now, but if this feature has a lot of requests, then we may think of adding it. Hi there, I sent you an email since I’m having issues with the plugin, the backend is setup correctly yet on the front end, the form is not responding, the Drop down menus are unclickable or interactive, they just sit there. P.S. : +1 for the Multiple combinations for other fields. Does your plugin work ok with the Advanced Search Premium For Classipress ? 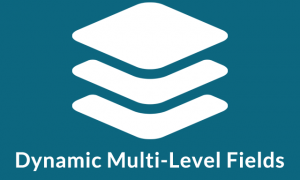 The Dynamic Multi-Level Fields plugin has not been tested with the Advanced Search Premium plugin. Is there any way to include Level1 and Level2 combinations for ad submissions, but only show Level1 on the title/menu bar? Also do you have any plans to make this compatible with the Advanced Custom Fields for Classipress plugin (ACFCP)? Not yet. An updated version of the plugin will be available only after the final release of ClassiPress 3.3. The product updates are underway. Ok fair enough. Can you place it in the top header for me? My menu is a little too busy and it drops to another line. I tried to put it before or after the “welcome” menu at the very top but i don’t have enough php skill to accomplish it. Let me know please and thanks in advance either way. Now that 3.3 is official when will this be compatible? In the coming few days! While we are waiting…. do you know if this is compatible with MapPress Plugin? When a location is selected will the map act the same way? The Dynamic Multi-Level Fields plugin is now compatible with ClassiPress 3.3. Make sure you download the updated plugin using the “My Account” page or via the download link you received in the order confirmation email. It has not been tested with MapPress, but I do not foresee any compatibility issues between the two, unless MapPress has anything to do with the “Post as Ad” form. hi, is this plugin working with the Advanced Custom Fields for Classipress plugin (ACFCP) right now? thanks! Hello Mohsin, bought your plugin, however we want to put another level4 is possible? Hi there, yes it is possible, but not without a lot of edits to the plugin. Please direct any after sales queries to into(at)themebound(dot)com. The multi-level fields are not meant to appear in refine search, once the location is selected by the user in the main navigation, the results will automatically be filtered by it. There is no need to have location fields in refine search. Thanks for response. Im not using it for location but thanks. I have multiple categories and I use it for CARS, (level: car make – level2: car brand). Is there a way to filter only for a specific page or category? No, there isn’t any way to limit the filter to just one page or category. Please ask any further questions at info(at)themebound(dot)com. I would like to ask if i can have the example below with the plugin Dynamic Multi-Level Fields. Unfortunately the plugin only supports one set of multi-level fields, so it is not possible to have two or more sets on the same site. Hello, the plugin is meant to link at least two and maximum three separate fields, so, it is not possible to use it for just one field. 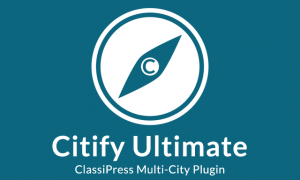 If you want a country selector, it will be better to purchase Citify Ultimate plugin instead and modify it to work with the country field, which will work better as well as save you money. I just realized during testing that the plugin takes over my post an ad settings in so that depending on what i have in the plugin settings is the only option i have to post an ad. (e.g) If i do not have the city inputted in your plugin i cannot select it in post and ad. It shows a drop down box instead of a text firld. I hope this make sense. 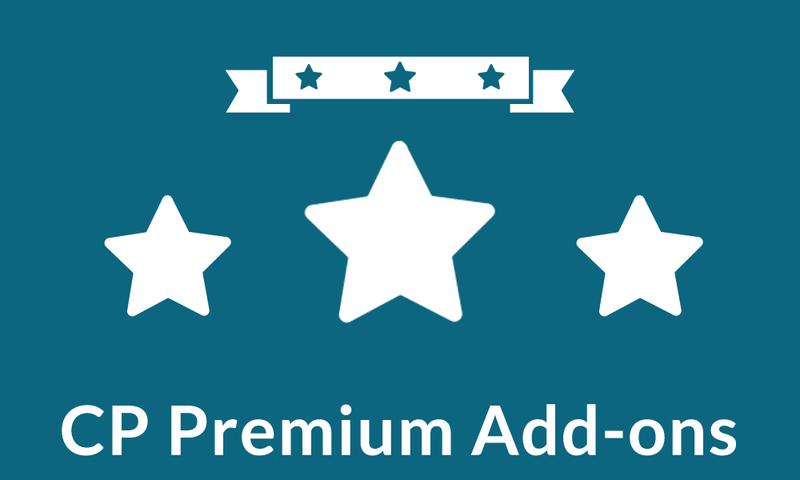 Hi, we bought your plugin and we need to associate your plugin with Advanced Search Premium For Classipress plugin. Is this possible, please help us.